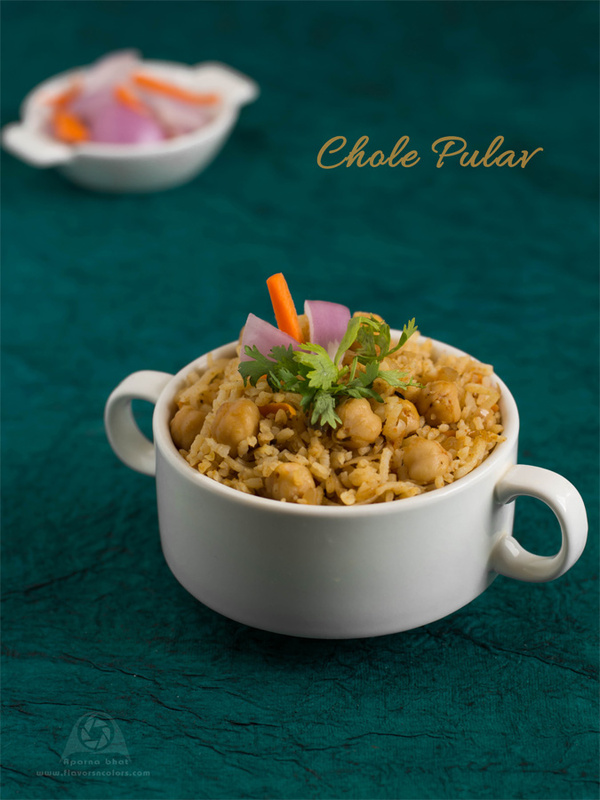 Chole pulav is an easy and quick recipe, a complete meal by itself where rice is cooked with chickpeas and variety of spices. 1 cup of chickpeas , I used canned ones, rinse and drain them. Half carrot grated on llarge holes of box grater. Wash, rinse and cook basmati rice as per packet instructions. Allow it to cool. I have used around 1 and 1/2 cup of cooked rice here. Heat oil in a pan, add cumin seeds, as they splutter add bay leaf, cinnamon, cloves, green cardamom [crushed] one by one. Saute it for 2 minutes. Now add chopped onions and ginger garlic paste. fry them till onions turn soft and translucent. Add grated carrots, chickpeas, red chilli powder, garam masala powder and salt as per the taste. Close the pan with lid and cook it on medium flame till carrots get cooked. Finally add the cooked rice and stir it gently taking care that the masala coats the rice nicely. Switch off the flame. 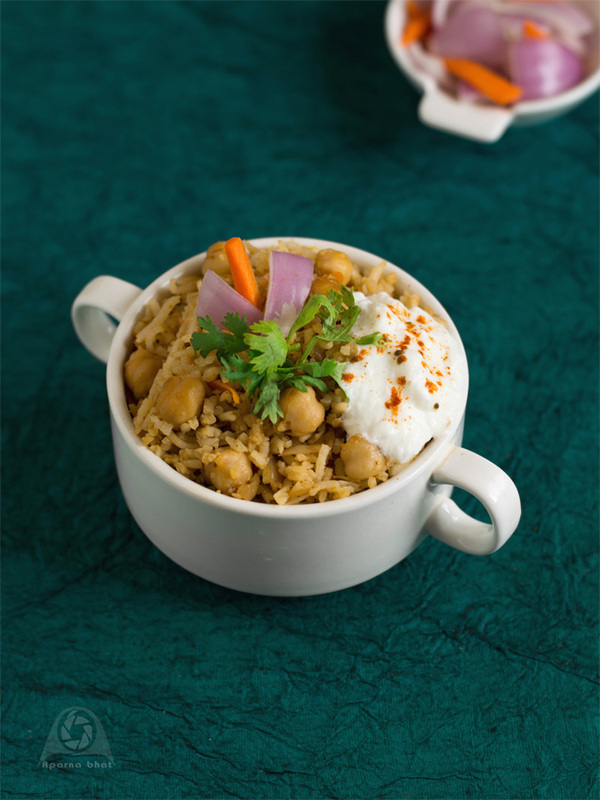 Squeeze a lemon, garnish with finely chopped coriander leaves and serve the pulao with choice of accompaniment.